communication skills for adult learners. Hello, my name is Nibia. I came to the United States and Hendersonville six years ago from Cuba. 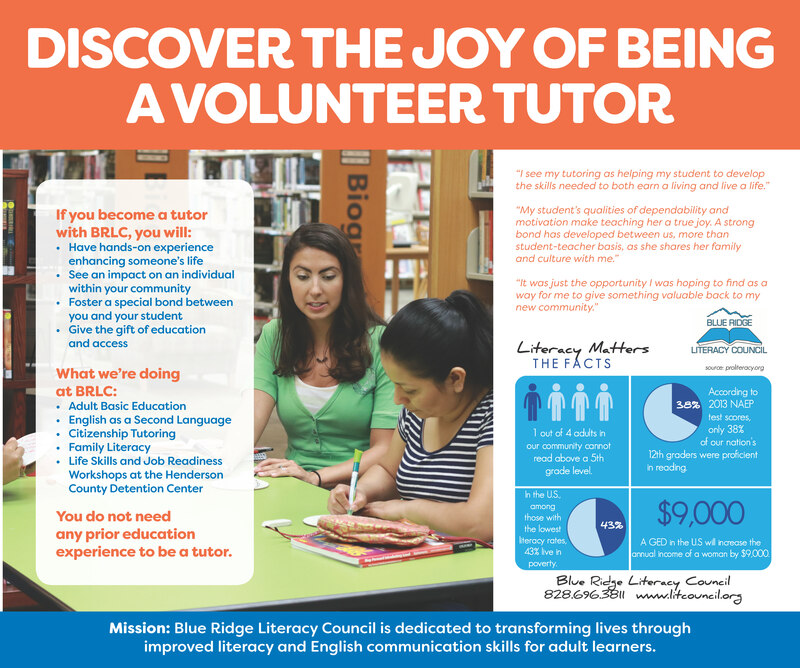 I went to the Blue Ridge Literacy Council to get help with my English. I wanted to be able to read, write and understand English better. I have been working with my tutor, Henry, since September 2015. He has helped me a lot. I work in the cafeteria at a local Middle School. I have been there for four years and like working there. Last year I decided I also wanted to drive a school bus. To do this I would have to get a Commercial Driver's License. I had to take a fifteen hour course and pass four tests, all in English. I did it! Because of my tutor who helped me learn better English, I was able to take the course, pass the tests and get my CDL. I now drive a school bus every morning to take children to a local Elementary School. I like driving the school bus and helping the little children. Then, I return home and go to my cafeteria job at the Middle School. My next goal is to become a citizen and I am studying hard for that now.